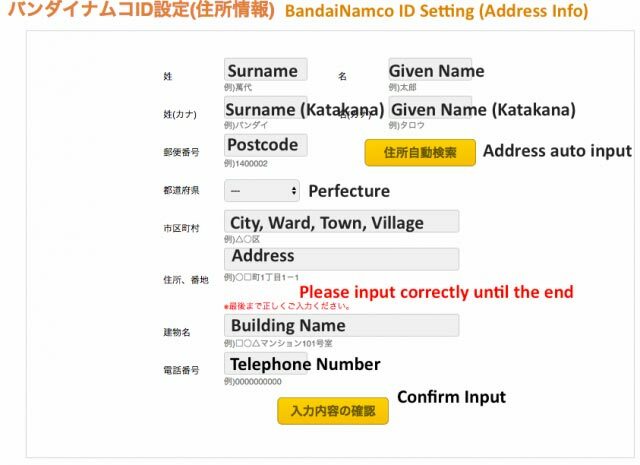 For those who do not have a Bandai Namco ID, you can use the “New User Registration” button to register an account. The instructions are in english hence I will not post step by step instruction here. In the Region/Country selection, I choose Japan. Note that the Region/Country selection cannot be changed after registration. I read somewhere D-1 Grand Prix is only for Residents from Japan, to avoid any issue down the line, I selected Japan as my Region/Country. After completing registration from e-mail sent by Bandai Namco, login with your email address and password. 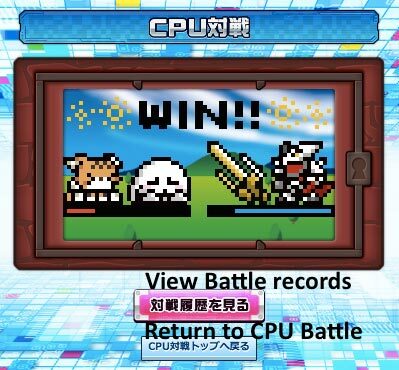 You need to register Digimon from you Digimon 20th Anniversary Version V-Pet before you can start any battle. 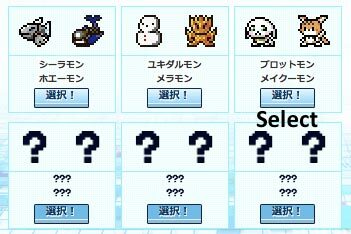 Hover your mouse to the “Digimon Album”, on the drop down menu, you’ll see (1) List of Digimon, (2)Digimon Registration. 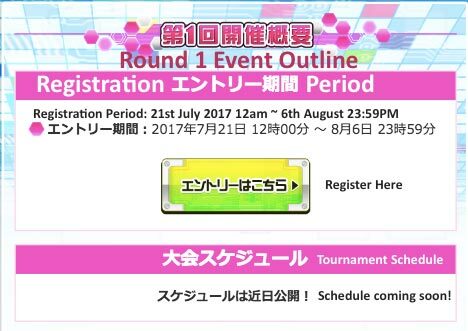 Use (2), to register your Digimon. You will see the following screen if you have completed your registration. If you get an different screen, if could be that you have input the wrong name and password. Double check your name and password from your V-pet. ヤ & ャ: Pay attention to the size of characters, on the left you have “ya” and on the right you have (what I would like to call) small “ya” which act as pronunciation modified for other characters. 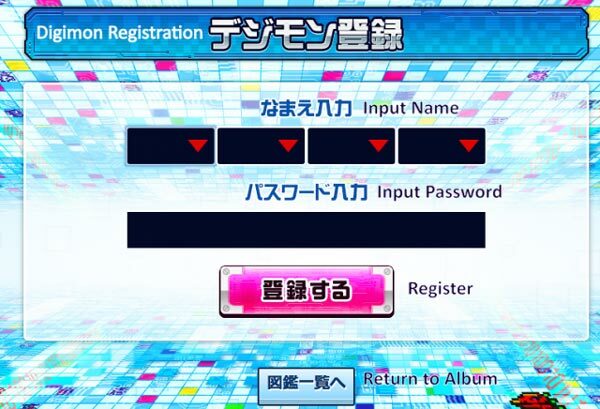 Pro-tip: If you click on the 2nd button, “Continue Registration”, you will be brought to the previous page with your name already pre-filled for you thus saving your time and effort searching for the right character again and again. 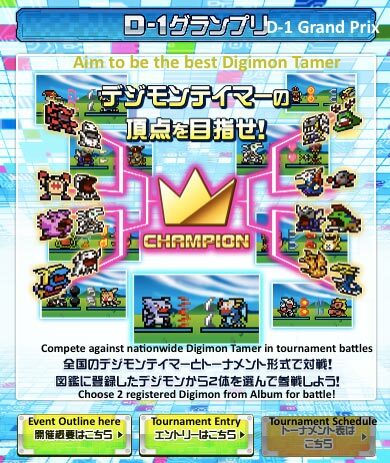 Pro-tip: You should train your Digimon to full strength before registering it in the D-1 Grand Prix. 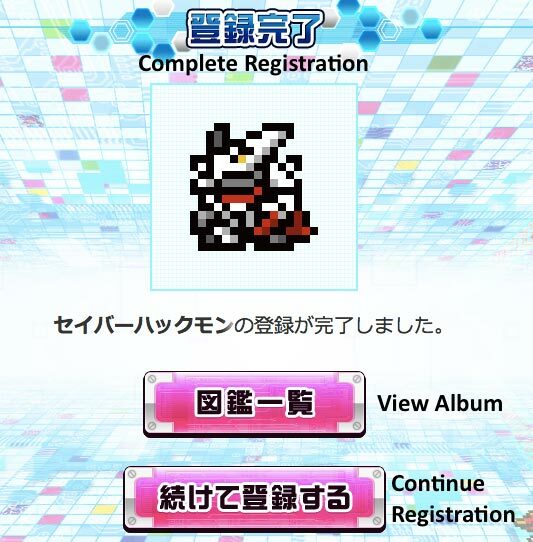 You can register the same Digimon multiple time, however only one version of the same Digimon can be registered for the D-1 Grand Prix. 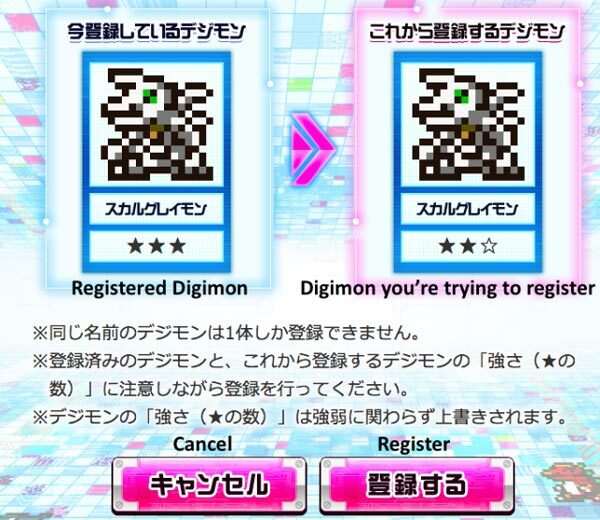 Below you see a screenshot showing the message you’ll see when you try to register the same Digimon twice. 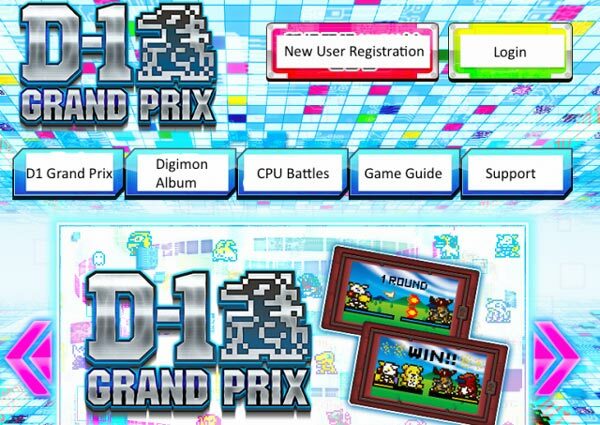 If you have been following the guide, you now have Digimon registered for D-1 Grand Prix. 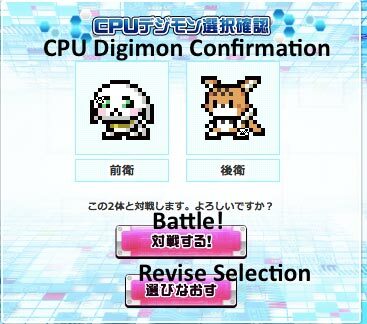 On CPU Battles page, you may select 2 registered Digimon for CPU Battles. 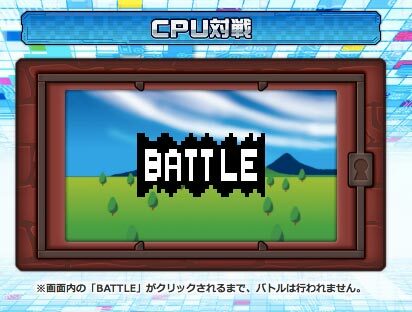 Each day you will be given 5 chances to battle against CPU. Note that losing a match counts towards the 5 matches you have each day so make it count! 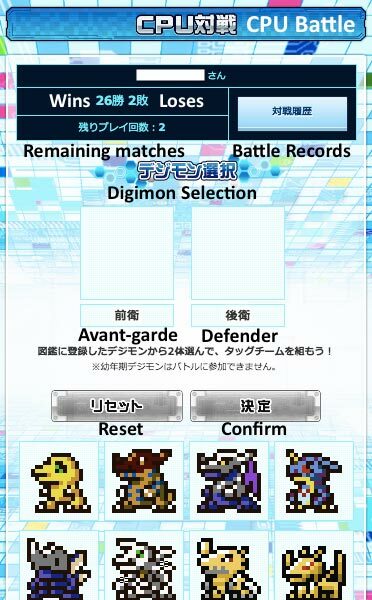 After you have confirm your Digimon you would like to use for CPU Battles, on the next page you can select the CPU opponents to battle. ?? indicate opponents not yet unlock. You unlock more opponents/matches as you win matches in CPU Battles. 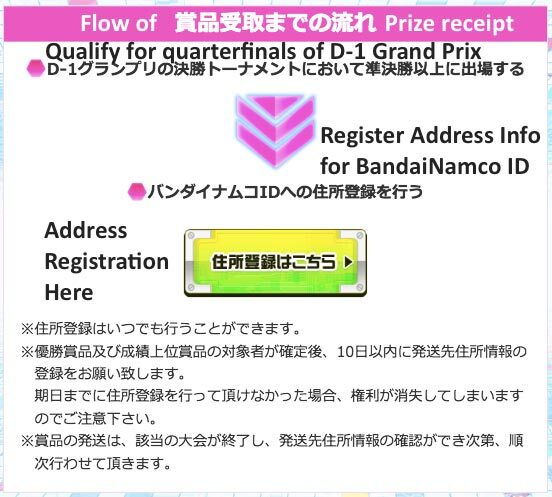 D-1 Grand Prix is now open for registration. Clicking on the first icon, D-1 Grand Prix will lead you to the following screen. From my understanding, the winner’s prize is an original illustration and High Achiever’s Prize (or Top Ranking Prize) is a copy of original illustration. Both are physical copies which will be mailed to you after the tournament ends. No prizes for preliminary matches. 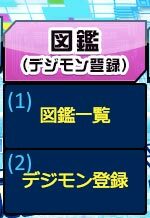 This is quite straightforward, it will be the same as what you do for CPU battles, except in this case, I am not sure if you are allowed to change your Digimon once you register them for the Grand Prix, so choose wisely! Failure to register before the deadline will result in loss of rights to the prices, so please be careful! 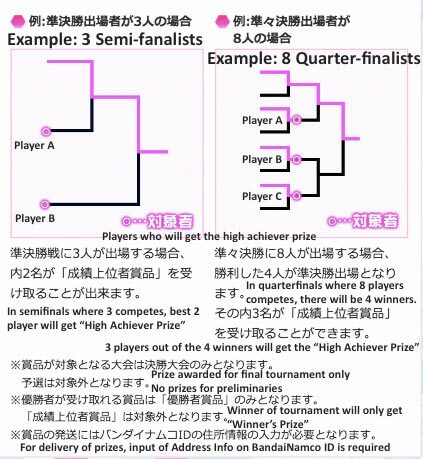 *Delivery of Prizes will be done in phases at the end of tournament, after addresses has been confirmed. All info above taken from 20th Anniversary V-Pet Thread. Posted by HoLYGabriel; 07-22-2017 at 03:45 AM.